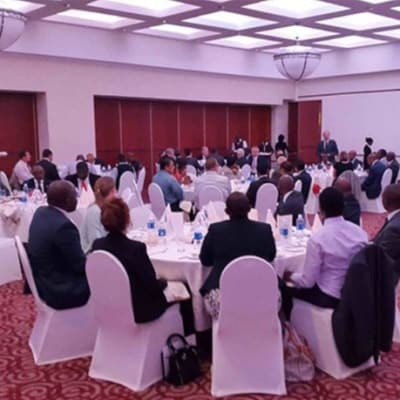 With strong support from United Kingdom Trade and Investment (UKTI), the British Chamber of Commerce in Zambia provides regular networking opportunities to help businesses build their customer bases and find suppliers and staff. It also gives access to new ideas and innovations through shared knowledge and expertise. Restless Development Zambia has earned a reputation for high quality delivery of programmes led full time by young people. The youth-led development approach has been repeatedly cited as the best practice by the World Bank, UNAIDS, UNICEF and other international institutions. The American International Health Alliance (AIHA) is an international non-profit organization working to advance global health through locally driven projects. AIHA is part of the USAID-supported Zambia Rising Project led by Save the Children to coordinate with the Data Rising and strengthen local systems. Its mission is to assist impoverished and disadvantaged people. With programs in 8 Zambian provinces, CRS works hard to improve family well-being through agro-economic development, environmental stewardship and many more. CRS is dedicated to strengthening health systems and sustainability. Grassroot Soccer strives to deliver and coordinate an array of prevention services for young people that will help protect them from HIV and lead a healthy life. This combination prevention model includes: behavioural prevention, structural prevention and biomedical prevention. Their aim is to aid access to healthcare, education and other vital facilities. World Bicycle Relief specialises in large-scale, comprehensive bicycle programs by providing supply chain management, technical knowledge and logistical expertise to poverty relief and disaster assistance initiatives.